I worked with Ryze for over a week by email. Try this, try that, but nothing worked, I recently sent it to Ryze support but from I hear it takes a month and they try to bill you for the repair. Did they charge you for the repair? Did you have Error Code 203? I called this number....went thru the usual " try this, try that " routine......although the gentleman was very nice, it solved nothing. Finally he said he would send by email my next steps to resolve within 30-60 mins.....24 hours later and still no email. I think in my honest opinion , RYZE is being swamped with this issue and they simply dont know what to do. Sorry to hear you are having so much trouble with the service group. Once they receive the drone they will wend you an email confirming receipt. From there they will send you an estimate for repair. That's when you can call them and plead your case for a warranty repair. I just hope they can resolve this error code 203 issue because I really enjoyed flying it. 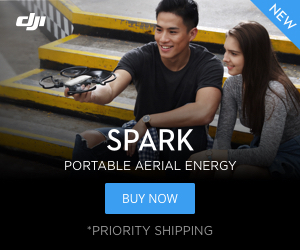 Same here, it's a fun drone, but I'm not about to buy one every 6 months. Stick with it. Ryze customer support will do there best to help you. Im very satisfied. I agree, mines fixed, I'm happy. I also agree. They fixed mine in a reasonable amount of time at no cost to me. They had to replace the PC board which means error code 203 is not a battery issue.